Welcome to our 100% non-smoking Comfort Suites Columbia River hotel. Conveniently located just off U.S. Highway 30 on the Riverwalk near downtown Astoria, the Comfort Suites is perfect for all types of travelers. Our spacious all-suite hotel amenities are designed to fit your lifestyle and feature suites that are 25% larger than average hotel rooms. Experience historic Astoria and the mighty Columbia River's majestic beauty while staying at our hotel. Whether you are in town for some serious fishing, antiquing, or bird watching, you will find lots of fun things to do in Astoria year round! Check out the panoramic waterfront views at our Astoria Oregon hotel and we'll spoil you with amenities such as free Wi-Fi, complimentary hot breakfast and business center…just to name a few! 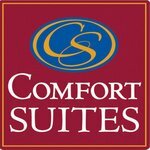 Visit Astoria and enjoy the warm, friendly atmosphere of the Comfort Suites Columbia River!